How is adoption and what is the impact of open educational resources in the global South? It is a book edited by Cheryl Hodgkinson-Williams and Patricia B. Aringo, and funded by the International Development Research Centre, which brings together the research findings of a global network of researchers and activists who worked for several years to produce knowledge in this field. It is available here (in English). Two of the chapters were produced by Karisma and we are pleased to present them in Spanish so that they can be used by those interested in these topics. 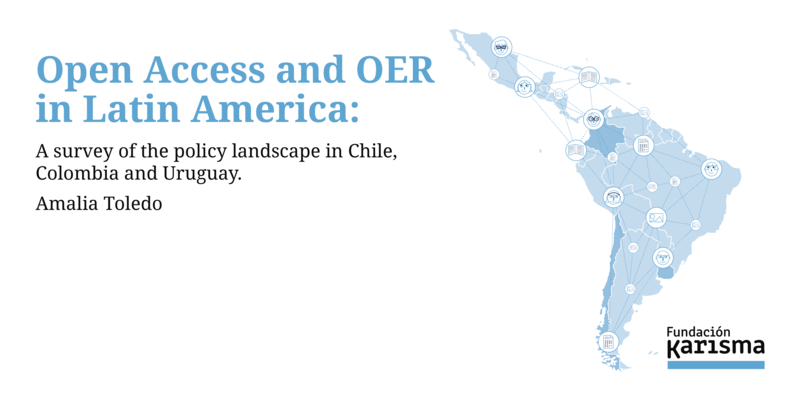 In this article, Amalia Toledo looks at the funds, policies, legislative and procedural mechanisms adopted by Chile, Colombia and Uruguay in relation to open access and open educational resources (OER). The findings of this research indicate that there are few or unspecific national or institutional policies that aim to promote open education in these countries at the higher education level. In Chile, the market model of higher education is the first barrier for the recognition of enabling environment for the development of OER. In Colombia, despite the existence of several national and institutional strategies that shows an emerging development of open education policies, there is still a lack of national and institutional will for the model to be widely adopted in the country’s higher education system. Uruguay, on the other hand, presents a promising scenario for the development of open policies. The overview took into consideration that in all these countries significant investments are being made in science, technology and research policies, which is the most promising field for advocacy in open education. 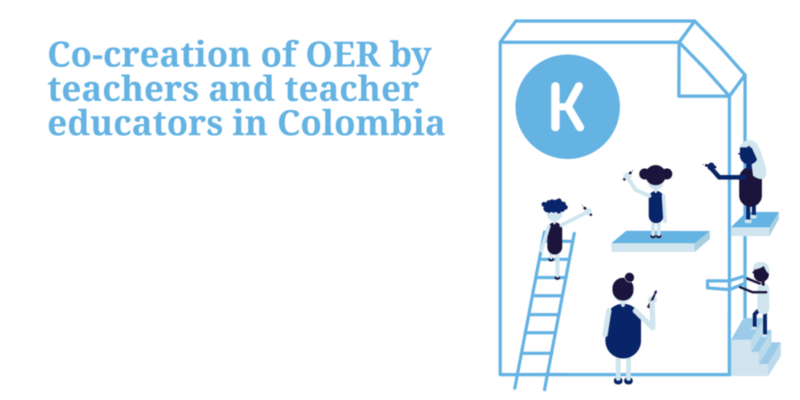 In this article, María del Pilar Sáenz Rodríguez, Ulises Hernández Pino and Yoli Marcela Hernández explore the collaborative co-Kreation of resources by teachers in Colombia. The study finds that creation and use are best developed through flexible and permanent pedagogical support within the schools of the participating teachers, that is, in settings where both teachers and students play an active role in creating knowledge appropriate to their particular needs. The research was developed with teachers in the Colombian southwest and the process was registered here.